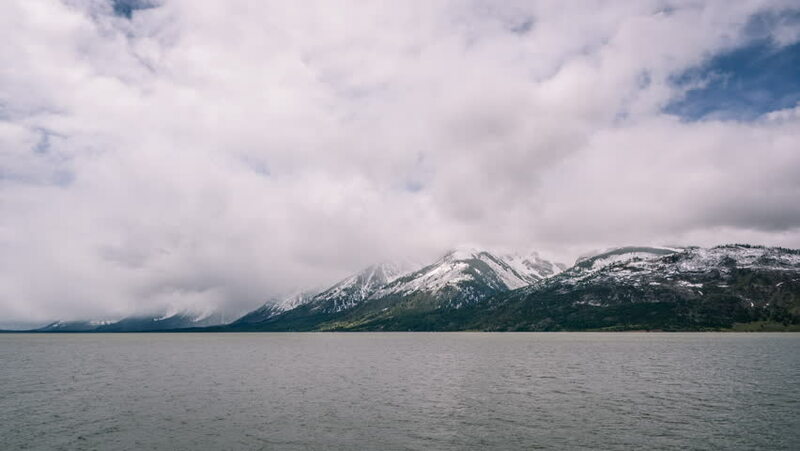 Timelapse.Snow Mountains with Clouds and Lake,Grand Teton National Park,United States. 4k00:17Timelapse video of cloudy day in Queenstown, New Zealand, from the banks of the Lake Wakatipu. hd00:29Yacht rails on background of Dark gray clouds in sky and storm on Lake Baikal. No person. Dramatic landscape of nature of mountain coast in bad weather. Magic of Lake Baikal.